Welcome to the first installment of what will be another recurring fixture here in the articles section of "The Campaign" Oscars Remade. Oscars Remade is an article that will look back at previous Oscar years and take the nominations that the Academy provided, yet supply better winners. Think of it as an alternate history for the Oscars, what films and performances I would have highlighted from the nominations if I dictated where the Academy placed their votes (If only...) The only rule, they cannot be the same choices as the Academy. First up is last years ceremony, the 2011 Academy Awards. I am not a King's Speech hater, I am an Inception lover. This belief that Inception deserved the top prize in the film industry does not come from the flaws of The King's Speech but rather the positives of Christopher Nolan's intelligent, exciting example of blockbuster filmmaking at its finest. Inception was the most discussed and influential film of last summer, while a previous generation has The Matrix as their influential science fiction film of choice which they were around to truly experience first hand, my generation has "Inception" This is a film which I saw four times whilst in theaters, it was a film I saw twice in 24 hours and dragged family and friends to see. It was a film that really struck a film loving chord inside of me, a film that showed just how adrenaline pumping and exciting going to the cinema can be. It was the most cinematic film of that year, whether it was Hans Zimmer's booming score, Wally Pfister's cinematography or Nolan's singular vision and multi-layered screenplay. It was a film that provided all the action you would want for summer escapist entertainment but also the depth that meant repeat viewings were not only warranted but necessary. 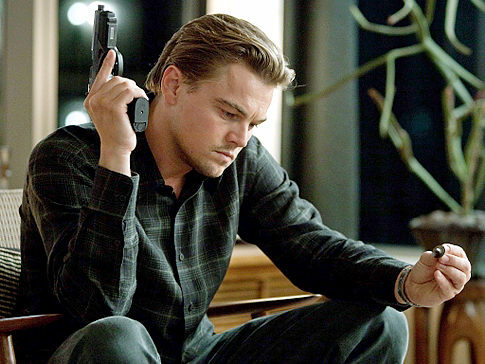 It was the first film, which when I was leaving the cinema made me stop and listen in to what others were saying about it, for a whole year the mere mention of Inception drew up engaging debate about the films moving, poetic and ambiguous climax. Inception was a film that defined the cinematic experience, a film that set an example to the industry, showed the studio heads that films like Transformers: Dark of the Moon need not be green lit and franchises like Saw run into the ground when original properties such as Inception, when given the right financing can produce such wondrous results. Some say the Oscars have a duty, a duty to use their publicity to highlight films which the mainstream may have missed (Something they did when awarding The Hurt Locker over Avatar) however I argue that they have a duty to set an example to their peers and to reward films which demand big screen viewings, films which make the cinema the only place to truly experience the majesty of a picture. For those reasons, Inception deserved the Best Picture Oscar. 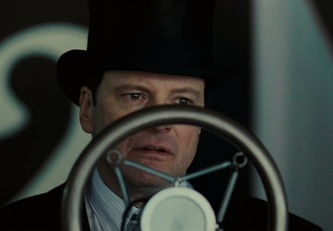 In twenty years we shall see which film influenced more film fans and filmmakers, The King's Speech or Inception, as that is the greatest reward of all. In my mind there is no director quite like Darren Aronofsky. Following a summer where I took in Pi and Requiem for a Dream for the first time, he has taken me on three of the most exhilarating, draining and unforgettable film watching experiences of my life, the third of which being his late 2010, early 2011 masterpiece, "Black Swan" Aronofsky can place you right inside the psyche of a crumbling mind better than any other filmmaker, in Black Swan you went made with Nina, experienced rather than saw her pain and went right with her into the depths of insanity, questioning what you were seeing and feeling in the process. 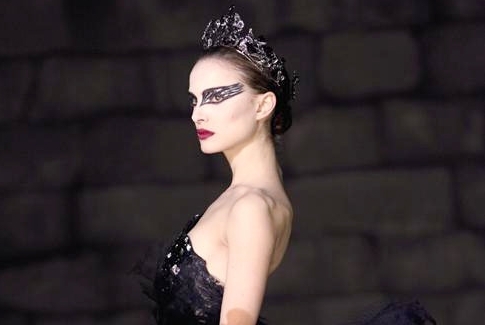 Out of the five directors nominated, who else could have pulled off Black Swan the way Aronofsky did? 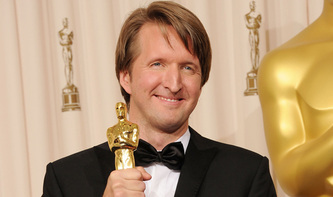 Or ask yourself the question, what could Aronofsky have done with the films of the other four nominees? 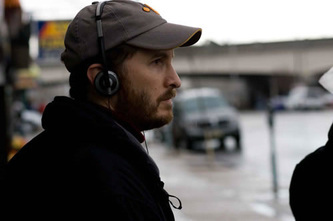 Imagine Aronofsky handling Bale, his performance and his character in The Fighter, imagine Aronofsky capturing Bertie's fear, imagine Aronofsky portraying a young girls lust for revenge, imagine what Aronofsky could have done with the character of Mark Zuckerberg in The Social Network While a strong case can be made for David Fincher and an even stronger one for Nolan (Who was disgracefully snubbed in this category) Aronofsky made a film that I don't think the other directors could have made better, yet I think he could have made each of their films better. He is a filmmaker who has disturbed me and moved me more in three of his films than other directors have in ten. 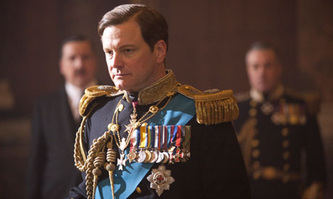 Tom Hooper did a fine job with The King's Speech but the meal was on the plate, he did nothing cinematic, nothing memorable with his direction, Aronofsky on the other hand gave you an experience. Yes Colin Firth was amazing in The King's Speech but here is why Jesse Eisenberg was better. 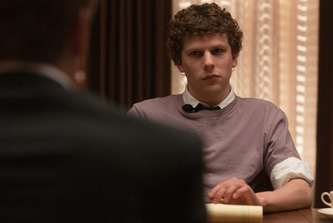 As Mark Zuckerberg, Eisenberg was given one of the toughest leading male performances of the year. After having viewed The Social Network countless times, Eisenberg's performance gets better and better, the subtle nuances in his facial expressions, the way in which he changes his voice, it is a subtle performance, one that is not heightened or highlighted by playing a character with a drug addiction or a speech impediment. He manages to have you completely against him one minute and completely for him the next and while a lot of credit could be attributed to Aaron Sorkin's script or David Fincher's direction, both of their contributions would amount to nothing if the actor could not handle the material. Eisenberg did not have a completely likable character, a character who you can root for and get behind, he was given a role that required complexity and subtlety. Its an underrated performance because it is not a showy one and it resides inside a character who does not have consensus likability. However it is for precisely those reasons, why Eisenberg's performance is so great, it bubbles under the surface. It is for those reasons why Eisenberg had a tougher, thankless role and why he gave the best leading actor performance of that year. 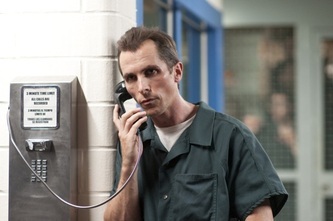 This is one of those cases where I am offering an alternative not an improvement on the Academy's choice, Christian Bale gave the best supporting performance of that year, end of story. 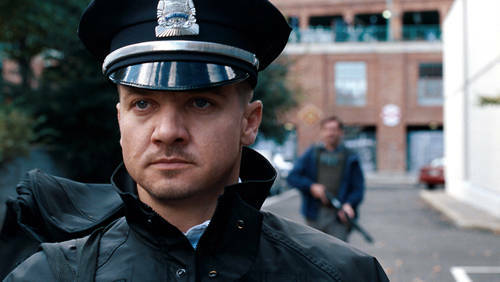 Jeremy Renner is an actor whose small roles in Assassination of Jesse James and 28 Weeks Later caught my eye, when he hit it big in The Hurt Locker he deserved the Best Actor Oscar (A hint there to a future Oscar Remade) in The Town he was easily the films finest aspect, its only memorable element. In a lunchtime scene he provided a superb air of tension, while a scene which he led by a graveyard was the high point of the film. While the film itself was one of the most overrated of that year, Renner's performance was its saving grace. He brought both an intensity and sensitivity to the piece, his scenes the most striking and his character the most intriguing. I cannot wait to see him in this winter's Mission Impossible: Ghost Protocol and next summer's The Avengers, this man is on the brink of major stardom and performances like the one in The Town show why. Once again this is by far an alternative not an improvement. Natalie Portman gave her Taxi Driver performance and deservedly danced away with the Oscar, something I was so sure she deserved and would get that I made a bet with a friend that I would bite my shoe if she was beaten. 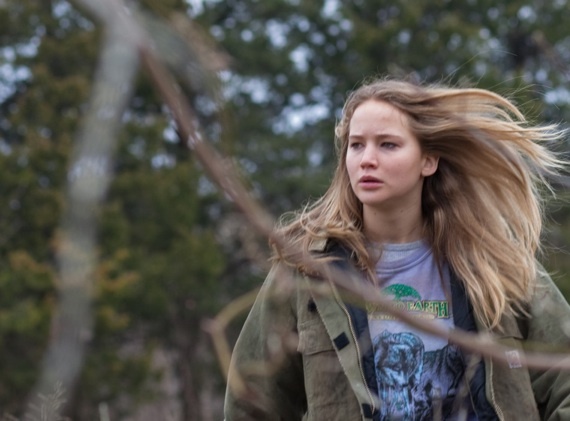 Winter's Bone was in my opinion the most overrated film of that year and an absolute snooze from start to finish but what kept me mildly engaged was the performance of Jennifer Lawrence, who has since gone on to impress in X-Men: First Class and hopefully The Hunger Games. While she is a pretty, blond, Hollywood actress for the 8 or so hours that film seemed to be running for, I completely believed her as a poor, southern girl looking for her father. While my opinion regarding the film as a whole may change if I watch it a second time, not feeling sick and at the peak of my concentration powers, my opinion on Lawrence's performance is set in stone. Benning gave an overrated, glorified supporting performance while Kidman and Williams gave performances that I have still yet to see. Melissa Leo was the least deserving winner in the acting categories at last years Oscars. 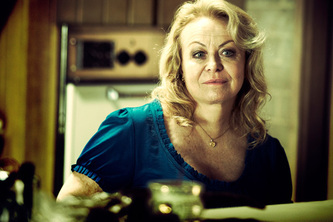 Jacki Weaver on the other hand was arguably one of the most deserving losers in the acting categories at last years Oscars. The fact that Animal Kingdom's only major nomination was in this category is a sham to begin with as that film is one of the finest gangster films I have ever seen. Weaver for a large portion of the films narrative just comes across as a rather over protective, perhaps naive mother however in the films last movements she turns into a domineering, intimidating and genuinely threatening screen presence who manages to wrap the law around her finger with a smile. Out of all the performances in this category it was the most surprising and most effective. What do you think of this first installment of Oscar Remade? Do you agree with my alternatives and reasoning for them? Give us all your Oscar thoughts in the Your Say section.